KALVISOLAI HSC | PLUS TWO | +2 | CLASS 12 | STUDY MATERIALS DOWNLOAD | KALVISOLAI | HSC | PLUS TWO | +2 |TAMIL | ENGLISH | MATHEMATICS | PHYSICS CHEMISTRY | BOTANY | ZOOLOGY | HISTORY | ECONOMICS | COMMERCE | PHYSICAL EDUCATION DIRECTOR GRADE I | GEOGRAPHY | POLITICAL SCIENCE | BIOCHEMISTRY | MICRO BIOLOGY |HOME SCIENCE | STUDY MATERIALS DOWNLOAD. CLASS 12 - HISTORY - TAMIL MEDIUM - STUDY MATERIALS DOWNLOAD - A.ARIVAZHAGAN M.A., M.Phil., M.Ed., அரசினர் மேல்நிலைப் பள்ளி, வளையாத்தூர், வேலூர் மாவட்டம். CLASS 12 - PLUS TWO - +2 - ACCOUNTANCY - ENGLISH MEDIUM - CHOOSE THE BEST ANSWER, FILL IN THE BLANKS, ONE WORD TEST, SLIP TEST - STUDY MATERIAL DOWNLOAD - B.ABDUL AJISH M.COM., M.PHIL., P.G. ASSISTANT COMMERCE, EQUITAS GURUKUL MATRIC HIGHER SECONDARY SCHOOL, DINDIGUL DISTRICT. CLASS 12 / PLUS TWO HALF YEARLY EXAM 2015-2016 | QUESTION PAPER AND KEY ANSWER DOWNLOAD. CLASS 12 | MATHEMATICS | TAMIL MEDIUM | BOOK BACK ALL MULTIPLE CHOICE QUESTIONS - ANSWER MARKED COPY AND UNMARKED COPY FOR TEST. CLASS 12 | MATHEMATICS | ENGLISH MEDIUM | BOOK BACK ALL MULTIPLE CHOICE QUESTIONS - ANSWER MARKED COPY AND UNMARKED COPY FOR TEST. UPDATED PLUS TWO HALF YEARLY EXAM 2015-2016 QUESTION PAPER AND KEY ANSWER DOWNLOAD. CLASS12 / +2 | TAMIL | SCERT GUIDE | DSE LEARNING MATERIALS | AMMA GUIDE | MINIMUM MATERIALS | MARCH 2016. CLASS12 / +2 | ENGLISH | SCERT GUIDE | DSE LEARNING MATERIALS | AMMA GUIDE | MINIMUM MATERIALS | MARCH 2016. CLASS12 / +2 | MATHS TM | SCERT GUIDE | DSE LEARNING MATERIALS | AMMA GUIDE | MINIMUM MATERIALS | MARCH 2016. CLASS12 / +2 | MATHS EM | SCERT GUIDE | DSE LEARNING MATERIALS | AMMA GUIDE | MINIMUM MATERIALS | MARCH 2016. CLASS12 / +2 | PHYSICS TM | SCERT GUIDE | DSE LEARNING MATERIALS | AMMA GUIDE | MINIMUM MATERIALS | MARCH 2016. CLASS12 / +2 | CHEMISTRY TM | SCERT GUIDE | DSE LEARNING MATERIALS | AMMA GUIDE | MINIMUM MATERIALS | MARCH 2016. CLASS12 / +2 | CHEMISTRY EM | SCERT GUIDE | DSE LEARNING MATERIALS | AMMA GUIDE | MINIMUM MATERIALS | MARCH 2016. CLASS12 / +2 | BIO BOTANY TM | SCERT GUIDE | DSE LEARNING MATERIALS | AMMA GUIDE | MINIMUM MATERIALS | MARCH 2016. CLASS12 / +2 | BIO BOTANY EM | SCERT GUIDE | DSE LEARNING MATERIALS | AMMA GUIDE | MINIMUM MATERIALS | MARCH 2016. CLASS12 / +2 | BIO ZOOLOGY TM | SCERT GUIDE | DSE LEARNING MATERIALS | AMMA GUIDE | MINIMUM MATERIALS | MARCH 2016. CLASS12 / +2 | BIO ZOOLOGY EM | SCERT GUIDE | DSE LEARNING MATERIALS | AMMA GUIDE | MINIMUM MATERIALS | MARCH 2016. CLASS12 / +2 | HISTORY TM | SCERT GUIDE | DSE LEARNING MATERIALS | AMMA GUIDE | MINIMUM MATERIALS | MARCH 2016. CLASS12 / +2 | HISTORY EM | SCERT GUIDE | DSE LEARNING MATERIALS | AMMA GUIDE | MINIMUM MATERIALS | MARCH 2016. CLASS12 / +2 | GEOGRAPHY TM | SCERT GUIDE | DSE LEARNING MATERIALS | AMMA GUIDE | MINIMUM MATERIALS | MARCH 2016. CLASS12 / +2 | GEOGRAPHY EM | SCERT GUIDE | DSE LEARNING MATERIALS | AMMA GUIDE | MINIMUM MATERIALS | MARCH 2016. CLASS12 / +2 | ECONOMICS TM | SCERT GUIDE | DSE LEARNING MATERIALS | AMMA GUIDE | MINIMUM MATERIALS | MARCH 2016. CLASS12 / +2 | ECONOMICS EM | SCERT GUIDE | DSE LEARNING MATERIALS | AMMA GUIDE | MINIMUM MATERIALS | MARCH 2016. CLASS12 / +2 | COMMERCE TM | SCERT GUIDE | DSE LEARNING MATERIALS | AMMA GUIDE | MINIMUM MATERIALS | MARCH 2016. CLASS12 / +2 | COMMERCE EM | SCERT GUIDE | DSE LEARNING MATERIALS | AMMA GUIDE | MINIMUM MATERIALS | MARCH 2016. CLASS12 / +2 | ACCOUNTANCY EM | SCERT GUIDE | DSE LEARNING MATERIALS | AMMA GUIDE | MINIMUM MATERIALS | MARCH 2016. 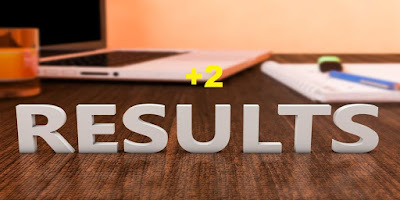 CLASS 12 | PHYSICS T/M | +2 PHYSICS 10 MARKS PUBLIC QUESTIONS BY B.Elangovan.M.Sc.,M.Ed.,M.Phil., PG Teacher in Physics,Pachaiyappa's Hr.Sec.School, Kanchipuram. CLASS 12 | PHYSICS E/M | +2 PHYSICS 10 MARKS PUBLIC QUESTIONS BY B.Elangovan.M.Sc.,M.Ed.,M.Phil., PG Teacher in Physics,Pachaiyappa's Hr.Sec.School, Kanchipuram. I too need of it! I need Hindi previous year question paper for 12th .. plz help me through this!